Equips developing writers with the critical thinking skills they need to interpret and analyze information and express their ideas clearly and logically in writing. 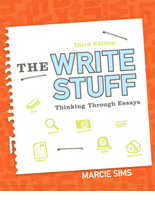 Author Marcie Sims defines critical thinking and goes on to explain the meaning and function of specific critical thinking terms and tools. Reaching beyond the usual writing instruction found in other texts, Sims gets to the core of developing the writer as a “thinker-writer”. 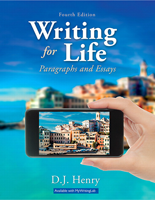 This approach to writing provides students with the basic tools for writing well-organized and developed essays that are grammatically and mechanically correct. • Early and pervasive discussions of critical-thinking processes produce stronger, more independent writers and prepares students for further college study like no other writing guide. 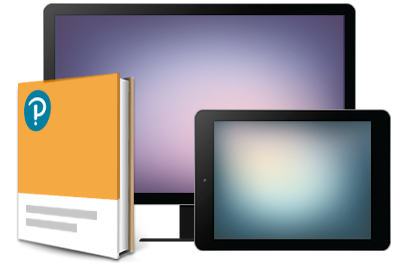 • “Applying Critical Thinking” demonstrate practical applications of the tools. • “Critical Thinking” icons provide students with visual cues they can use whenever they embark on a writing assignment.